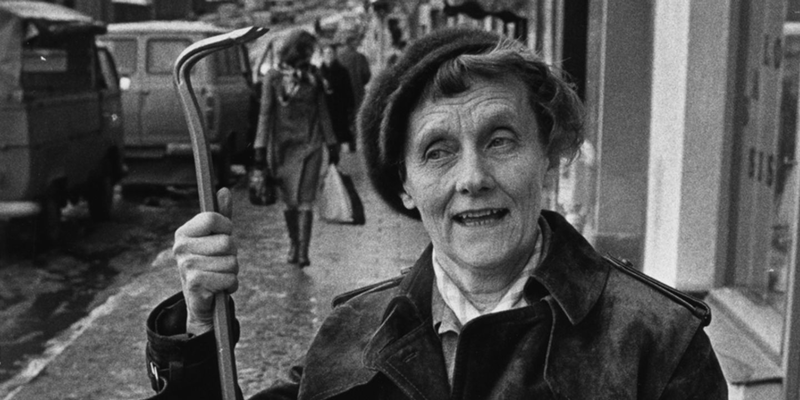 After graduating from school Astrid Lindgren was employed by the Vimmerby newspaper as a sixteen-year-old. She proofread, wrote tiny notices and short reports. The editor-in-chief of the newspaper was Reinhold Blomberg who had already earlier noticed Astrid’s talent. But Reinhold’s enchantment with Astrid stretched beyond her ability to write. And in the spring of 1926 Astrid Lindgren realised that she was pregnant. To become pregnant as an unmarried nineteen-year-old woman was a major scandal that would disgrace not only Astrid herself but also her entire family. To top it off Reinhold Blomberg was locked in a bitter divorce and was the father of seven children. There were no other alternatives available to Astrid but to leave Vimmerby and go to Stockholm. 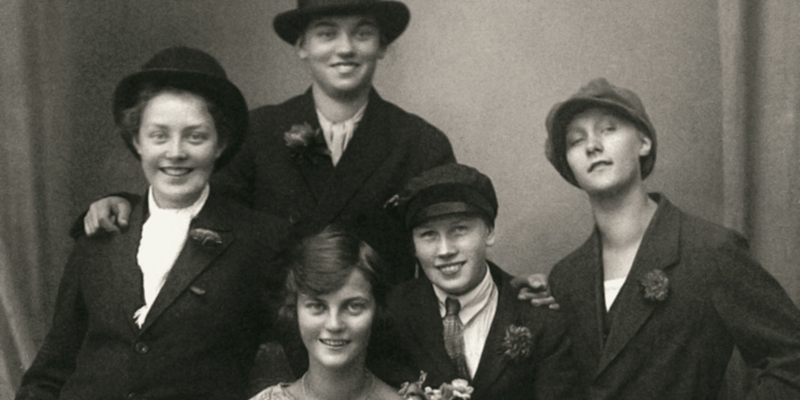 Astrid Lindgren’s first years in Stockholm were horrible - poor and lonely. She was a lodger, renting a room in Östermalm, and studied to become a secretary at the Bar-Lock Institute. Astrid and Reinhold kept in touch and the plan was that they would marry as soon as Reinhold’s divorce was finalised. 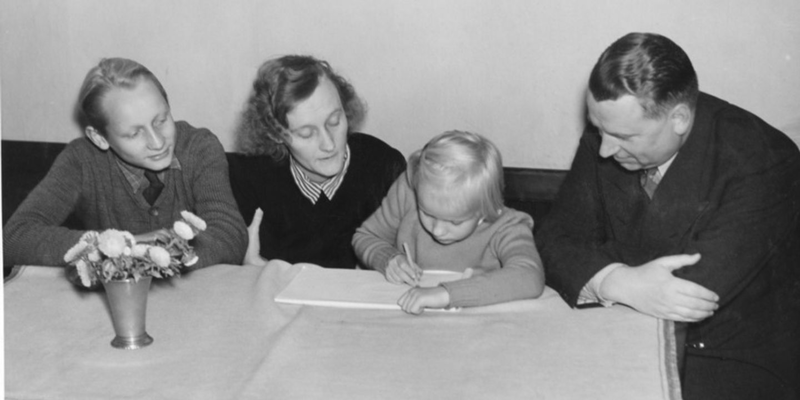 On the 21st of November Astrid Lindgren travelled to Copenhagen to have her child. The ‘Rigshospitalet’ in Copenhagen was the only hospital where you didn’t need to give the father’s name at the birth. Astrid had found a family to stay with and who could also look after her child until the time came when she was ready to bring it back to Sweden. 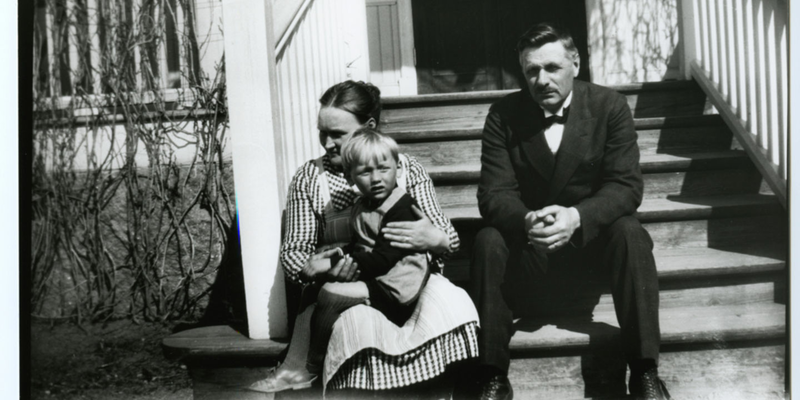 The family were called Stevens and consisted of mother Marie Stevens, her son Carl, and a Swedish boy that they cared for called Esse, who was only a few months old at the time. Esse’s Mum had had him outside of wedlock, just like Astrid. Astrid Lindgren’s son Lars, ‘Lasse’, was born on the 4th of December 1926 and Astrid spent the first few weeks together with him before travelling back to celebrate Christmas with her family at Näs as usual - anything to not feed the gossipmongers of Vimmerby. She then returned to Stockholm and restarted her secretary studies at the Bar-Lock Institute. The Bar-Lock Institute was a private school in Stockholm, named after an American typewriter. Included in the curriculum was typing and shorthand, as well as bookkeeping, accounting and business correspondence in various languages. The students comprised of young women, often from other parts of the country. During her studies Astrid Lindgren lived in a boarding house on Artellerigatan in Stockholm. Many of the young female students lived there and they frequently socialised in evenings and on weekends. Astrid got her first secretarial position in 1927, at Svenska Bokhandelscentralen’s radio department where she answered complaints from customers who didn’t quite understand how to make their new radio work. The radio was the latest technical gadget in Swedish homes and anyone who was anybody wanted one. 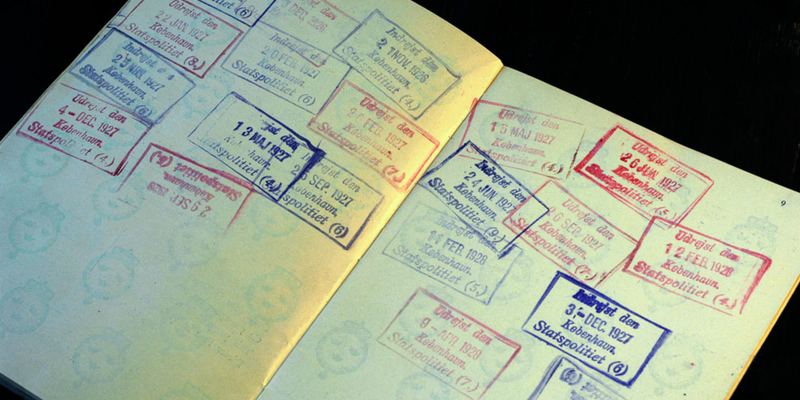 Every penny Astrid Lindgren was able to scrape together she reserved for her trips to Copenhagen to visit Lasse. She lived very modestly and kept herself alive thanks to the food baskets her family sent from Näs. 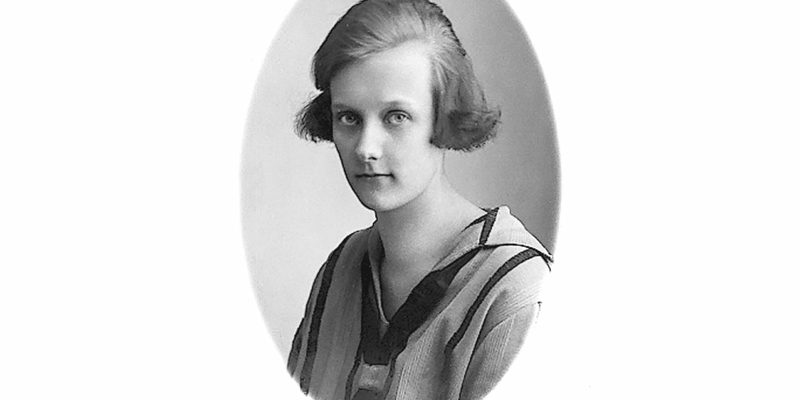 In 1928 Astrid got a job at the Royal Automobile Club (KAK) where Sture Lindgren became her boss. She travelled down to Copenhagen every third month and often wrote letters to Marie Stevens and Lasse. In the replies she was told that Lasse was growing and developing. It was also at this time that Astrid categorically broke things off with Reinhold Blomberg. 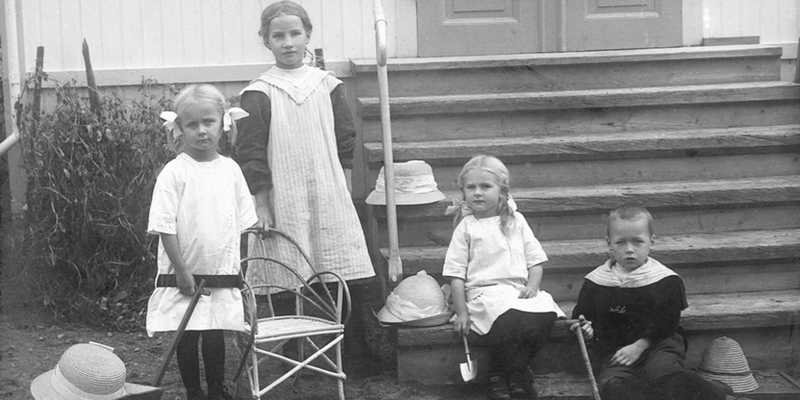 She couldn’t imagine living with him in Vimmerby, mothering his seven children - some of which were the same age as her. When Lasse arrived in Stockholm he suffered from whooping cough and coughed through the nights. Astrid desperately tried to keep things together at the same time as doing her secretarial job, but soon realised it wasn’t working. 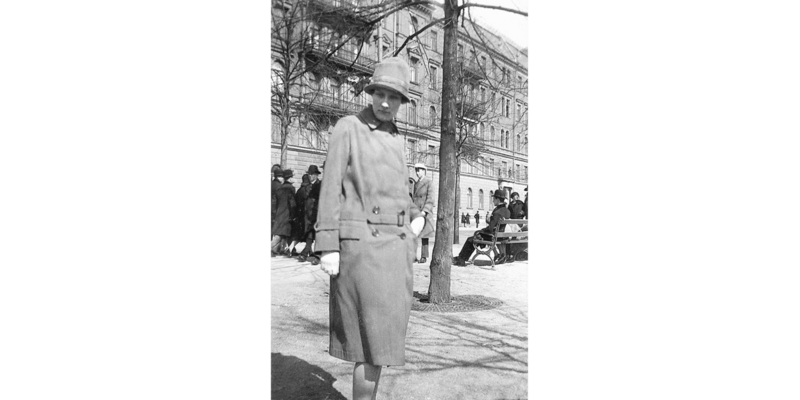 Her mum Hanna suggested that he came to live with them at Näs and in May 1930 Astrid travelled to Vimmerby with her son. Using a coach and horses they made their way through Vimmerby in order to openly demonstrate that Lasse belonged to the family and put an end to all the gossip. Lasse stayed at Näs for a year, cared for by Hanna and Samuel August as well as Astrid’s siblings Gunnar, Stina and Ingegerd. 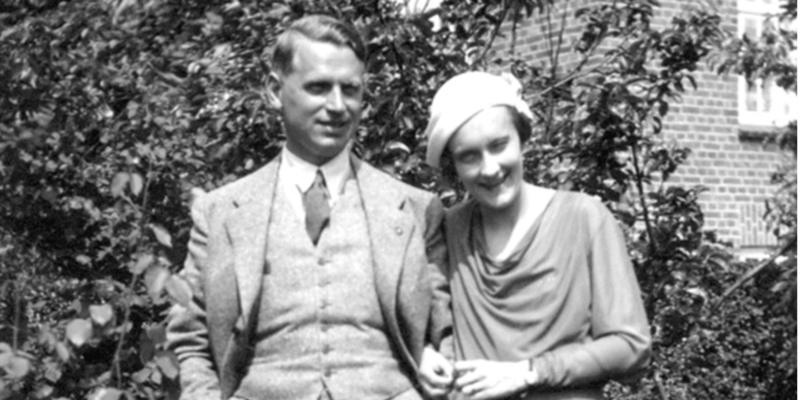 In Stockholm Astrid was increasingly courted by her boss Sture Lindgren, who had fallen in love with his employee and decided to seek a divorce from his wife. In the spring of 1931 they married and moved into a one-bed apartment on Vulcanusgatan by S:t Eriksplan in Stockholm. Finally Astrid could bring Lasse home for good. Astrid graduates from high school with top grades in Swedish. Astrid is confirmed. Astrid starts working as a volunteer at the Vimmerby Times. Astrid gets pregnant, but does not wish to marry the child’s father. She moves to Stockholm where she acquires qualifications as a secretary.